Caption Zeus thyrsos in hand holds the newborn Dionysus. 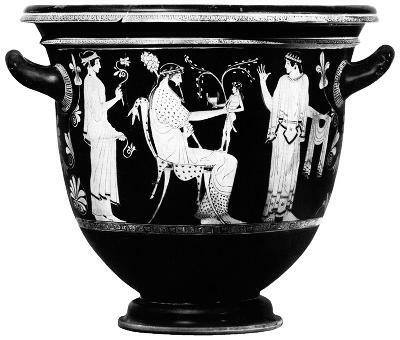 Attic Red-figure bell krater by the Altamura Painter c. 460 BCE. Ferrara.